Through our customers’ needs we are now providing a mobile cool room hire service. 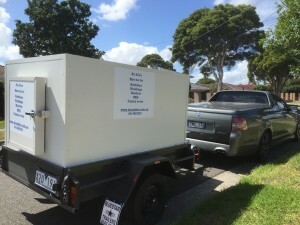 We provThrough our customers’ needs we are now providing a mobile cool room hire service. We provide reliable quality cool rooms to businesses throughout Melbourne. To businesses holding extra stock over their busy periods or whether it’s for a wedding, school fetes, farmers market, sporting events. You can pick up your cool room from us and drop it off when you have finished with it.